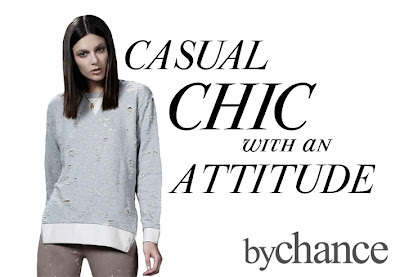 Casual Chic with an attitude! The By Chance Jenna Oversized Sweatshirt is a fave at Ambience. By Chance is all about fit, details and just the right amount of faux leather. The By Chance Jenna sweatshirt has distressed tread bare spots throughout and the exposed zipper detail at cuffs and hemline and it works back to your favorite jeans and/or leggings.